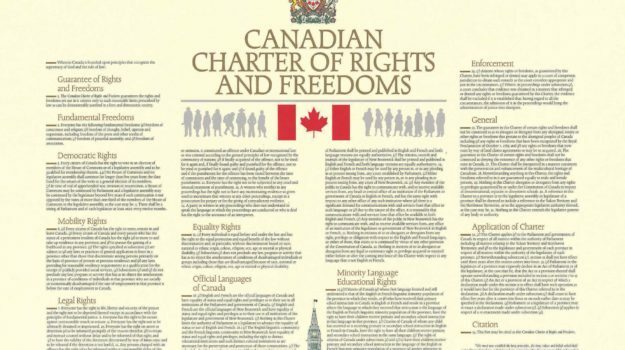 The Special Joint Committee on the Constitution (1980-81) solicited feedback from Canadians about the government’s proposal to patriate the Constitution and entrench a Charter of Rights and Freedoms. The committee heard from over nine hundred individuals and organizations, many of whom had a direct impact on the final draft of the constitutional proposal. In the wake of Quebec’s referendum on sovereignty-association in 1980, Prime Minister Pierre Trudeau committed his government to patriating the British North America Act and entrenching human rights in the constitution. The government established a special joint committee of the House of Commons and the Senate to receive submissions from the public. The committee had twenty-five members (ten from the Senate and fifteen from the House of Commons). Fifteen were Liberals, eight were Progressive Conservatives, and two were New Democrats. What began as a thirty-day session of hearings turned into a three-month consultation in which 914 individuals and groups submitted briefs, and 214 groups made an oral presentation before the committee. The Special Joint Committee on the Constitution was a critical moment in Canada’s human rights history. The hearings highlighted how Canadians’ conception of human rights had evolved dramatically since the 1940s. Minutes of the committee’s public hearings are available in most university libraries (chaired by Senator Harry Hays and MP Serge Joyal). However, the 914 briefs submitted to the committee are only available at Library and Archives Canada. Below is a collection of digitized briefs presented to the committee (in some cases, the document includes a description of the organization). For a more detailed history of the Committee, visit Events and Issues. The Library and Archives Canada collection for the special joint committee includes a statistical summary. It lists the presentations before the committee (thematically organized in categories such as ethnic, human rights, feminist, race, business, and more), the number of sittings attended by individual MPs and senators, and the issues raised by the presenters: Statistics on the Special Joint Committee on the Constitution. Index of all the presentations before the Special Joint Committee on the Constitution. The following is a comprehensive list of submissions from organizations based on the committee’s archival record. Click here for a list of individuals’ names that also appear in the archival record for submitting briefs. Affiliation of Multicultural Societies of B.C. Associated Disabled Persons of B.C. Association canadienne des compagnies d’assurance-vie inc.
Borough of Etobicoke, Community Health Dept. Federated Anti-poverty Groups of B.C. Federation canadienne des enseignants, Ottawa, Ont. Knights of Columbus, Moncton, N.B. Knights of Columbus, Alexandria, Ont. Knights of Columbus, Bowmanville, Ont. Knights of Columbus, Cornwall, Ont. Knights of Columbus, Markham, Ont. Knights of Columbus, North Bay, Ont. Knights of Columbus, Kapuskasing, Ont. Knights of Columbus, Renfrew, Ont. Knights of Columbus, Mount Forest, Ont. Knights of Columbus, Arnprior, Ont. Knights of Columbus, Oakville, Ont. Knights of Columbus, Penetanguishene, Ont. Knights of Columbus, Longlac, Ont. Laichkwitach State Tribes, Campbell River, B.C. Manitoba Parents for Ukrainian Education Inc.
Multicultural Association of Fredericton Inc.
Multilingual Association of Regina Inc.
National Chapter of Canada I.O.D.E. – Provincial Chapter of New Brunswick I.O.D.E. Progressive Conservative Association of B.C. Angus Alberta Limited – see Angus J.F. Right to Life Association – Kitchener, Ont. Right to Life Association – Yarmouth, N.S. Social Planning and Review Council of B.C. University Women’s Club – Barrie, Ont.